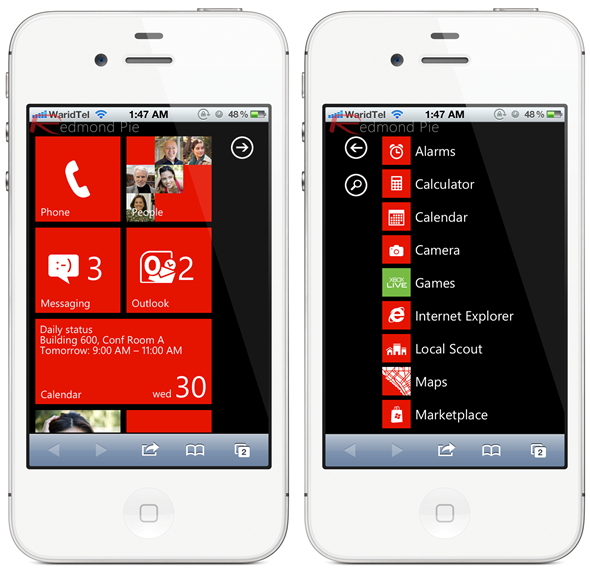 Try Windows Phone 7.x Mango On Your iPhone Or Android Phone Right Now! Handsets running on the Windows Phone platform have been very popular recently. Helping push sales are their ability to integrate completely with an exchange account, an amazing turn-by-turn navigation app and a beautiful WVGA screen. There are other features aimed at entertainment such as Xbox LIVE compatibility and what they call Live Tiles. What a clever marketing strategy. I wouldn’t be surprised if Apple and Android followed suit with their own demos in the future. 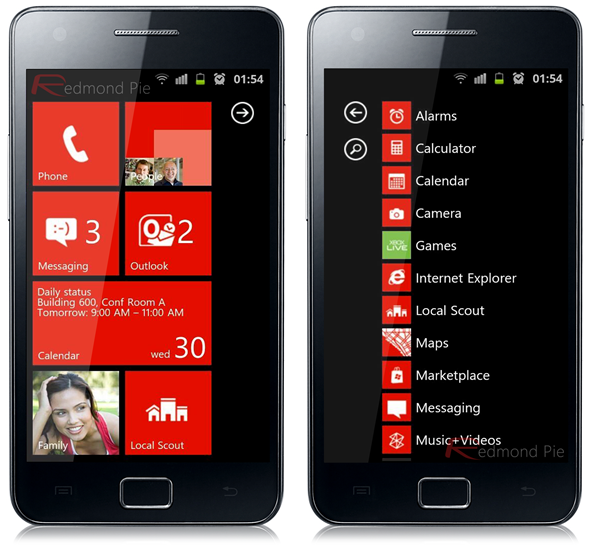 What Microsoft has done is given you the chance to check out their Windows Phone platform without leaving your home. Sure, it’s not a full functioning demo, but it may be enough to push you to head to a store to try the real thing. The demo is pretty limited, but it works, and very smoothly I might add. You don’t have access to all Windows Phone features, but it gives you a general feel of the experience. I tried it on my iPhone 4. It’s not a full screen demo, at least not on my phone. I still see my Safari bar below and standard bar above, yet I was pretty impressed. The demo will allow you to go through the different Windows screens and navigate through their phone, email, text and calendar tiles. One you reach the end of a path, you’ll have the option of exiting the demo or starting over. Unfortunately the link won’t work from your computer browser for some (but it did work for us on Chrome for Windows). You’ll (probably) receive an error screen to try the link from a different device. You may see the same screen from an unsupported mobile browser as well. For those who have been thinking of dropping your iPhone or Android models for a Windows Phone, this may be the push you need to make the call (no pun intended).